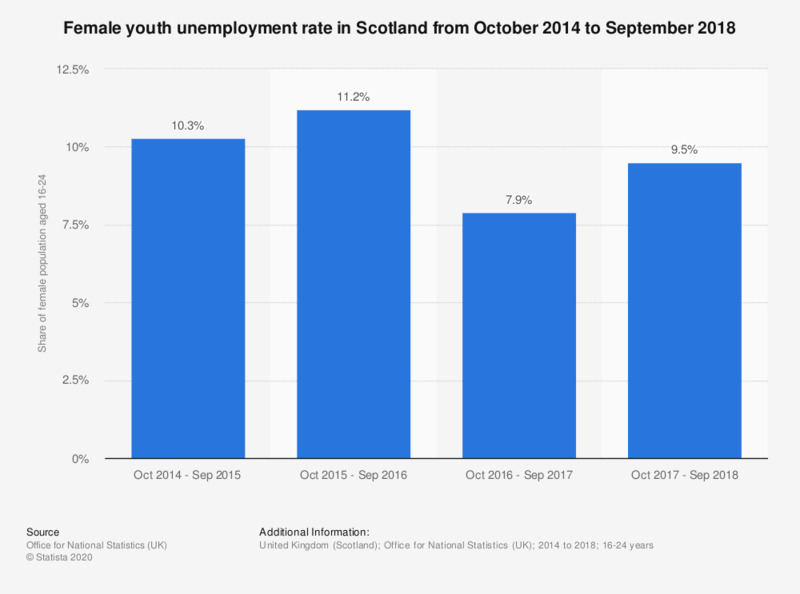 This statistic shows the unemployment rate of young women (aged 16 to 24) in Scotland between October 2014 and September 2015 to October 2017 and September 2018. The unemployment rate was at its highest during October 2015 to September 2016 and at its lowest during October 2016 to September 2017. Do you agree that things would work better if more women held positions with responsibilities in government and companies?